I admit it was the cover of this book that piqued my interest in this book, then the description that got me, too! It turned out I LOVED this 60 page Novella! I am excited over this because I want to check out this author and see what else she has written! She is a British author, and I did get hung up on a few british slang words, but my husband is home on christmas vacation, and HE knew what the phrases were! I loved it! He was very helpful! Anyway, I really enjoyed reading this story! It had a great storyline to it, it was not rushed given the length, had great character development in a novella, and really has been one of the best holiday novellas I have read this holiday season! Kate’s mother is so superstitious it’s hilarious! She believes Kate and her fiance’ are perfect together because she did their charts and everything lines up perfectly. Her mother believes in getting card readings (I would assume that meant tarot cards) done, too! She was funny! Kate, however, is beginning to wonder if her and her fiance’ are meant for each other or not because he just sits in front of the TV watching sports ALL the time. This is not Kate’s idea of being perfectly matched regardless of everything else lining up. Sorry, Mom! Kate, her mother and sister go into this rinky dink looking store to look for a wedding gown for Kate to wear for the wedding. They only have 5 days before the wedding. Kate highly doubts she is going to find a gown in this hole in the wall store. She starts to look and something draws her to the second hand shelf where her doubts raise until she finds the perfect dress, a vintage dress, but gorgeous dress from about the 1920’s, and it has a note pinned to it. This makes Kate want to find the woman who wore this dress. With such little time to find the woman, will she or won’t she? They start a Facebook post and Twitter post looking for the woman. Time is ticking! Kate is supposed to get married by midnight, but she feels destiny has led her to find this woman because of the note! I’ll leave the rest to you to find out! 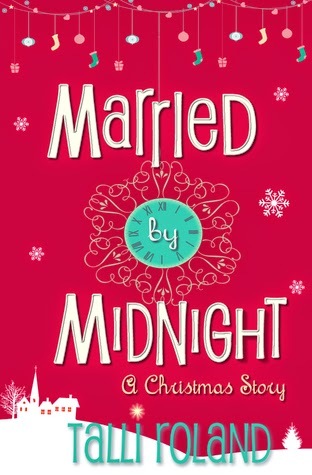 This is a book you can read at any time of the year because of the storyline, not just at Christmas, so enjoy it!